It’s a big help too that his pedigree also includes a 3fx4f cross of Nureyev, his dam is by a son of Last Tycoon and is inbred 3fx3m to Mill Reef (who crosses so well with Sadler’s Wells, a three-quarter brother to Nureyev) and he traces to Gr.1 winner and superb broodmare Fall Aspen, who is his fifth dam. That’s enough to start happy bells ringing for an old pedigree tragic like me. I can just see the staff at Darley lining up daughters of Lonhro, Exceed and Excel, Teofilo and Medaglia d’Oro, among others, to visit this new boy. But pedigree alone is only a start and in this case it’s backed up by an exceptional race record that includes six wins (one at two) from 1200m-1600m including the Prix Jacques le Marois-Gr.1 at Deauville, the Prix du Moulin de Lonchamp-Gr.1 at Chantilly, the Lockinge Stakes-Gr.1 at Newbury, a record-breaking success in the Queen Anne Stakes-Gr.1 at Royal Ascot and six Gr.1 placings from 16 starts. Ribchester was rated Equal leading 3YO Male (Mile) on the World Thoroughbred Rankings in 2016, when he was also Joint-Champion 3YO Colt in Europe and GB (Mile). 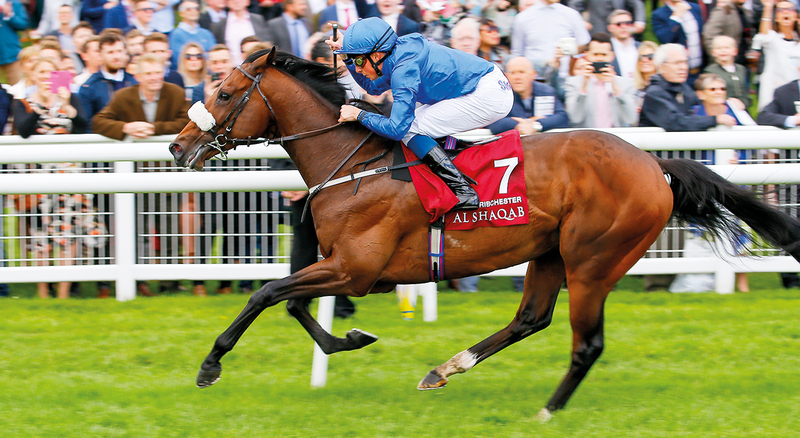 Ribchester, who stands 16h and is covering his first book (€30,000, special live foal) at Kildangan Stud in County Kildare and will cover here at $24,750, sold twice at Goffs (weanling and yearling), purchased the second time by David Armstrong (Highfield Farm) and sent into training with Richard Fahey at Malton in North Yorkshire. He made his debut on July 9 of his juvenile year at Doncaster when runner-up in a 6f maiden to Melabi after taking the lead a furlong out and then stepped up to Group company, lining up in the Gimcrack Stakes-Gr.2 (6f), at York on August 22. Starting 25/1, he began poorly but made up ground to be second behind Ajaya, that run prompting his private purchase by Sheikh Mohammed’s Godolphin operation. he was relegated to fifth for veering left in the closing stages at hampering third-placed Attendu (promoted to second). He started 33/1 in the 2000 Guineas-Gr.1 at Newmarket next time out (April 30, 2016), staying on really well from mid-field to be third behind Galileo Gold in the classic. He won the Jersey Stakes-Gr.3 (7f) at Royal Ascot, despite his 5lb penalty as a Gr.2 winner, scoring by 2.25 lengths on June 15. He took on the older brigade in the Sussex Stakes-Gr.1 at Goodwood next start and was third (a short head, neck) behind fellow three year-olds The Gurkha and Galileo Gold. Ribchester met the runner-up again next start in the Prix Jacques le Marois-Gr.1 (1600m) at Deauville on August 14, settling mid-field before making a move 400m from home, overtaking Vadamos to beat the French horse “readily” by a half-length. 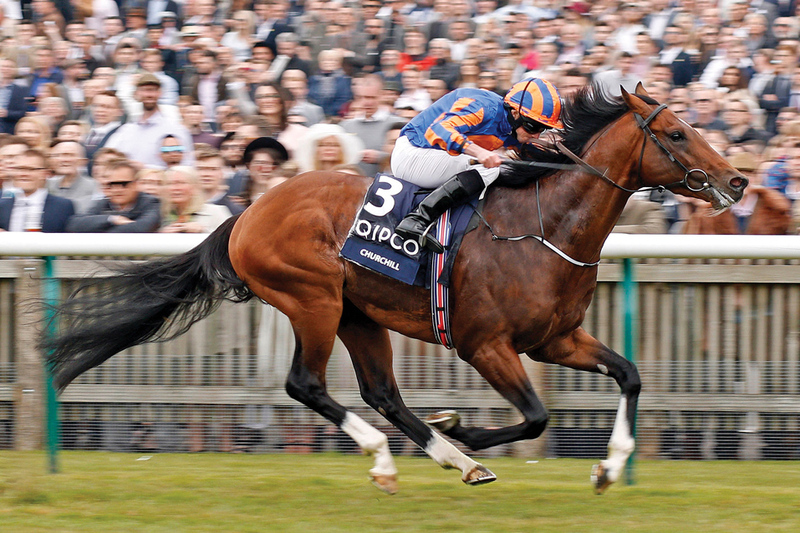 At his final start for the year he was runner-up behind the favourite Minding (half a length) in the Queen Elizabeth II Stakes over the straight mile course at Ascot on October 15. Lightning Spear was third and the unplaced division included Galileo Gold and Hit it a Bomb (Breeders’ Cup Juvenile Turf). Ribchester’s seven starts at four all came in Gr.1 events and he won three of them. He started the season on March 25, 2017 with a third in the Dubai Turf (1800m) at Meydan, being with the leaders from the start and only being caught in the final 100m by Japanese filly Vivlos and French colt Hesham. Back in the UK on May 20 for the Lockinge Stakes-Gr.1 at Newbury, he started 7/4 favourite and led all the way, drawing away to win by 3.75 lengths from Lightning Spear. He made it back-to-back Gr.1 wins in emphatic fashion, taking the Queen Anne Stakes (8f) at Royal Ascot on June 20, going to the front a furlong out to win by 1.25 lengths from Mutakayyef in new course record time of 1:36.60 for the straight mile. The conditions were really testing next time out in the Sussex Stakes-Gr.1 (8f) with a soft track and the race run in heavy rain. Ribchester led most of the way but was collared by outsider Here Comes When in the closing stages to go down by a neck in 1:46.11. Taken back to France for the Prix du Moulin, this year run at Chantilly, on September 10, he started favourite and took the lead 400m out to win by three quarters-of-a-length from Taareef. Ribchester was second again in the Queen Elizabeth II Stakes on October 21 behind Persuasive (length) and with Churchill third and ended his career on November 4 with a fifth (of 14) behind World Approval in the Breeders’ Cup Mile. in 2017 it was 124. At two he was rated Europe’s 12th best juvenile colt on 113. 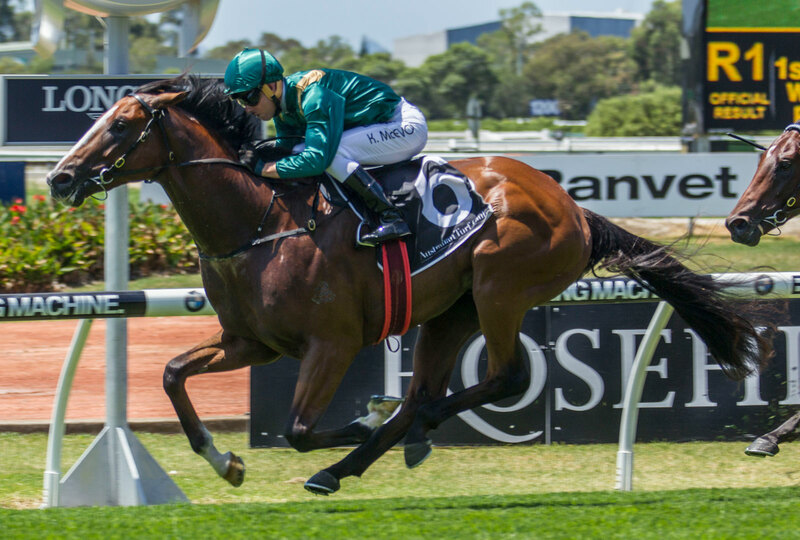 His sire Iffraaj (Zafonic-Pastorale by Nureyev), who shuttles to Haunui Farm in NZ ($25,000) was in the news again on March 31 when his brilliant six year-old son Jungle Cat (ex Mike’s Wildcat by Forest Wildcat) won the $1m Al Quoz Sprint-Gr.1 (1200m, turf) for trainer Charlie Appleby, the horse’s third win in succession at this year’s Dubai World Cup meet and his seventh overall, to take his earnings past £1m. 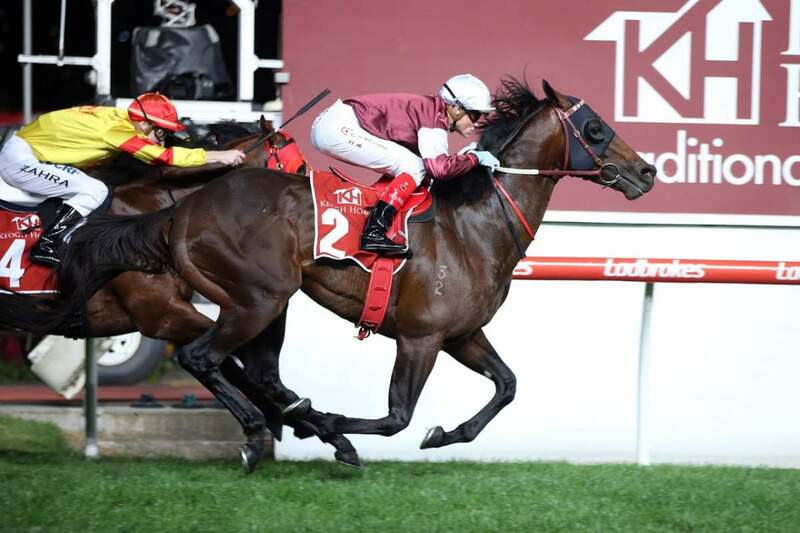 He is among 620 winners of more than $53m for his sire whose 58SW (5.7%) also include the NZ 2000 Guineas-Gr.1, VRC Emirates Stakes-Gr.1 and MRC Futurity Stakes-Gr.1 winner Turn Me Loose (Danehill, second dam by Sadler’s Wells). His is also sire of Gingernuts (Generous), winner of the NZ Derby-Gr.1, Hawkes Bay Windsor Park-Gr.1 and Rosehill Guineas-Gr.1 and of Australian Derby-Gr.1 hero Jon Snow (O’Reilly, second dam by Zabeel) and northern Gr.1 winners Rizeena (Statue of Liberty), Chriselliam (Danehill), Benvenue (Be My Guest) and unbeaten Gr.1-winning juvenile Wootton Bassett (Primo Dominie), the sire of multiple Gr.1 winner Almanzor (Maria’s Mon) who retired to stud in France this year. Local Gr.2 winners by Iffraaj include Fix (Danehill), Serena Miss (More Than Ready) and Wyndspelle (High Chaparral). His sire Zafonic (Gone West-Zaizafon by The Minstrel), a Gr.1 winner at two and three (2000 Guineas) and champion juvenile of Europe/England, represents the Mr. Prospector male line and is a brother to another good sire in Zamindar. Ribchester’s dam Mujarah is a daughter of the St James’s Palace Stakes-Gr.1 winner and Derby runner-up Marju (Last Tycoon-Flame of Tara by Artaius), whose half-brother Song of Tara (Sadler’s Wells), a brother to champion Salsabil, stood in NSW and whose daughters could suit Ribchester, ditto mares from the Last Tycoon-line sires Written Tycoon and O’Reilly and those by champion sire Redoute’s Choice. 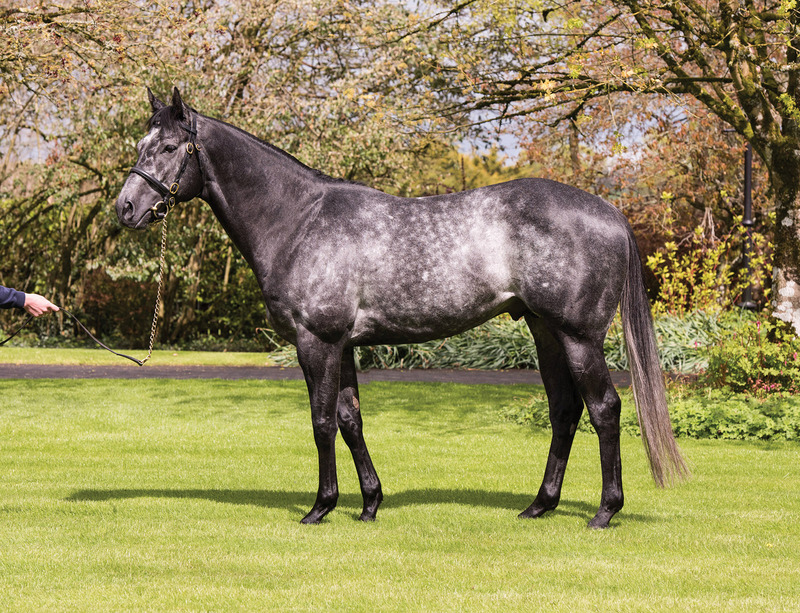 Second dam, stakes placed Tanaghum (Darshaan) produced seven winners including Gr.3 winner Tactic (Sadler’s Wells) and Listed winner Yaazy (Teofilo). Her stakes placed daughter Zahoo (Nayef) is dam of Gr.3 winner Convergence (Cape Cross). Ribchester’s third dam Mehthaaf (Nureyev) was Champion 3YO Filly in England in 1994 when her wins included the Irish 1000 Guineas-Gr.1 and her nine winners include Italian Champion 3YO Filly Najah (Nashwan).